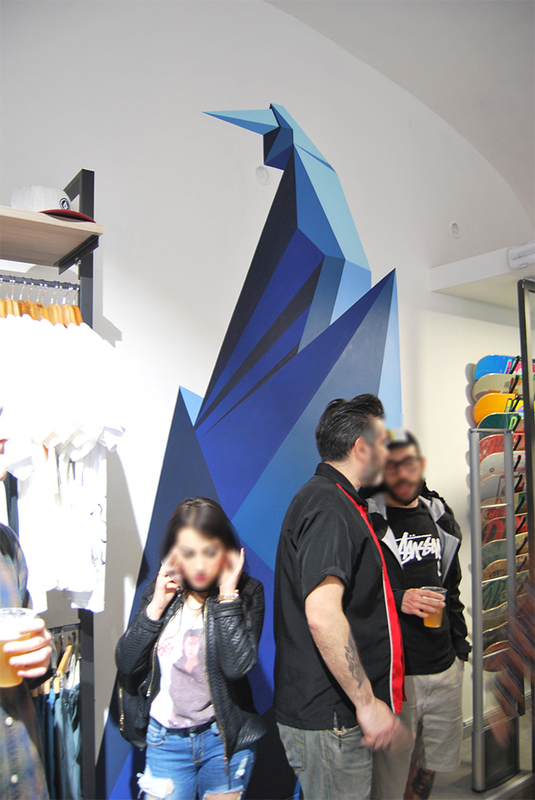 Located in the center of Sassari in Via Cavour 22, Outlaw store is one of the most representative streetwear stores in Italy with noteworthy branded items. Its originality and style demonstrate the essence of its being modern and in line with the times. 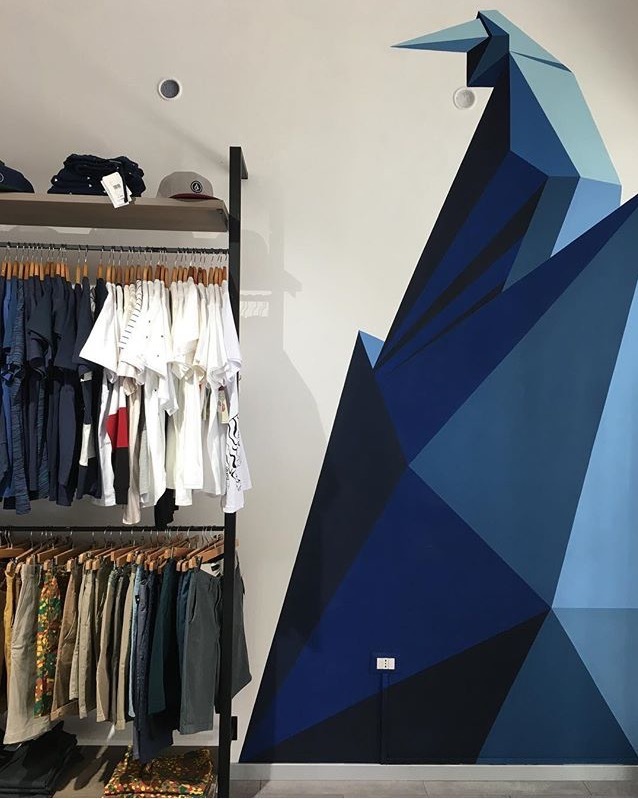 A store that as well as being a distributor of major young brands is a meeting point for young people in the city, thanks to the many events organized by the store that enhance the old town and keep the spirit of streetwear culture alive. 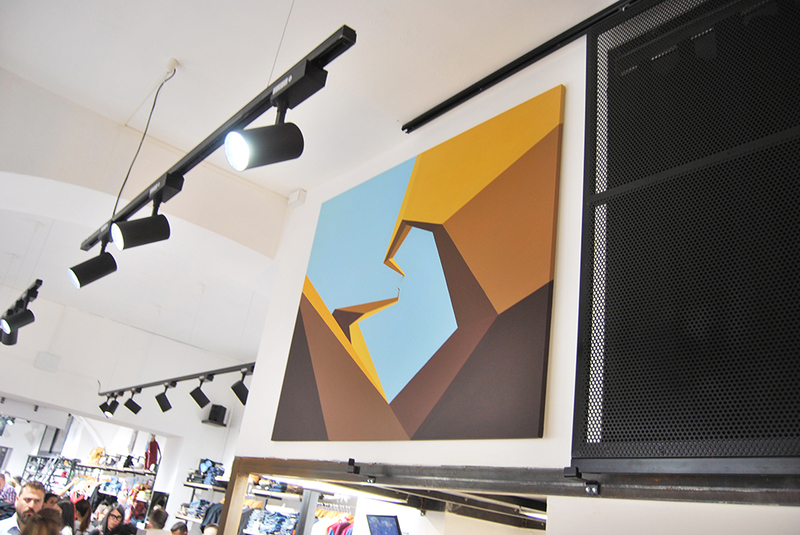 This new opening gave me the opportunity to to make big colorful shop decoration; I inserted two new artworks into the shop space. The title of the first one is “From the bottom to the top” and comes from the idea of ​​representing where the essence of the streetwear culture comes from: it comes from the bottom of the street culture and evolved over time creating a community that it is represented all over the world. The second artwork is entitled “Futuristic Lighthouse”, a futuristic structure that rises and becomes a reference point to follow over time, an ambitious figure that looks straight into the future, it is ambitious and strong solid in the space that it occupies in this modern time.